We aim to unleash your engine and love for the road! At Left Coast '32—we engineer, design, and integrate custom-built parts to increase power and performance in modern muscle cars. As an authorized distributor of Magnuson Superchargers and Anderson Composites, we take great pride that our products and work are of the highest quality. Kits from MagnaCharger significantly increase horsepower and performance. We offer and install supercharger kits for late model GM, Dodge, Ford, Jeep, Audi, and more. We provide the only supercharger technology that stands up to OEM durability and reliability tests. Eaton TVS-based superchargers are quieter, run cooler, and are more efficient than any other supercharging technology available. True horsepower without compromise. Shed weight, boost performance, and make your car stand out with custom composite parts and fabrications. We design and install customized carbon fiber and other fabrications. 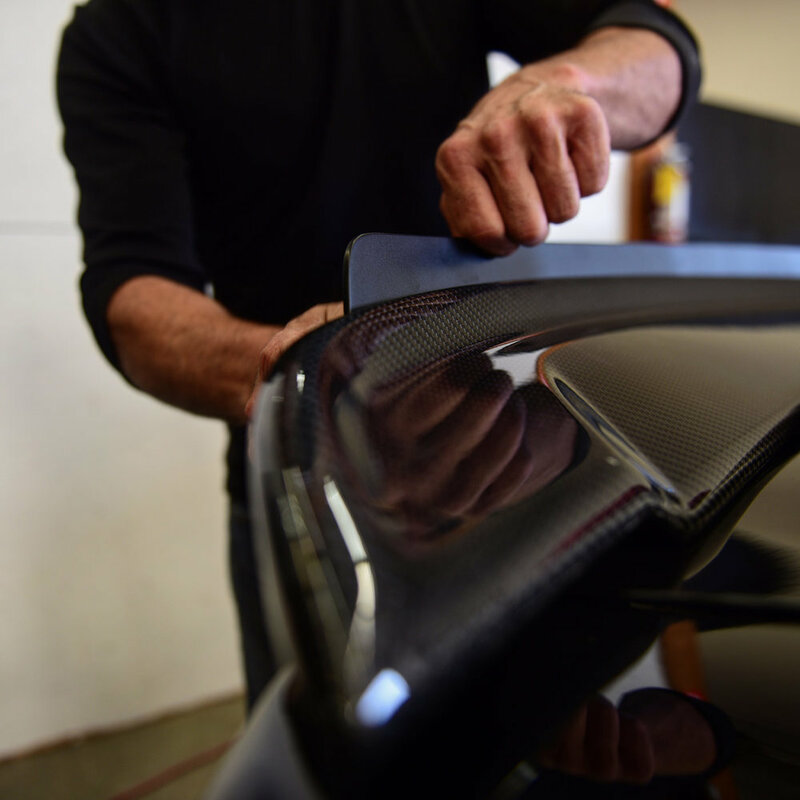 As an authorized dealer of Anderson Composites, we take great pride in the quality of our composites and the care in installing them. Increase performance with custom aftermarket pulley systems. All pulley systems are made with stainless steel and billet aluminum. Built to boost performance and look great while doing it. We offer front drive pulley systems in 6 and 8 rib options with our RIP (Race Inspired Pulley) design. We offer 8 rib, 10 rib—as well as COG rear pulley systems. We design and manufacture performance parts like our Billet 102mm–105mm inlets to increase the efficiency of the Magnuson TVS series superchargers. In addition, we deliver a number of custom and off-the-shelf performance parts to increase the power and life of your vehicle. At Left Coast '32—we engineer, design, and manufacture performance conversion kits like the 4L80E and C6 Oil Pan swaps. Our custom combination of parts make your conversion simple and easy. We also design and manufacture custom-fabricated cross-members to stiffen the chassis and reinforce the suspension, improving the handling and stability of your vehicle.